Since we began homeschooling several years ago, I’ve followed the same calendar as our local public school system. The idea of year-round homeschooling never even entered my mind. You see, my intention in keeping closely aligned with the school system has always been to coordinate breaks and the standardized testing schedule. Each year I would make small tweaks to suit our family needs, but generally speaking, we always kept the same pattern. However, this year I started doing some research on the concept of year-round homeschooling. And let me tell you I will NEVER go back!! This model has already proven to be a perfect fit for our family, so I wanted to share what we have discovered through this process. 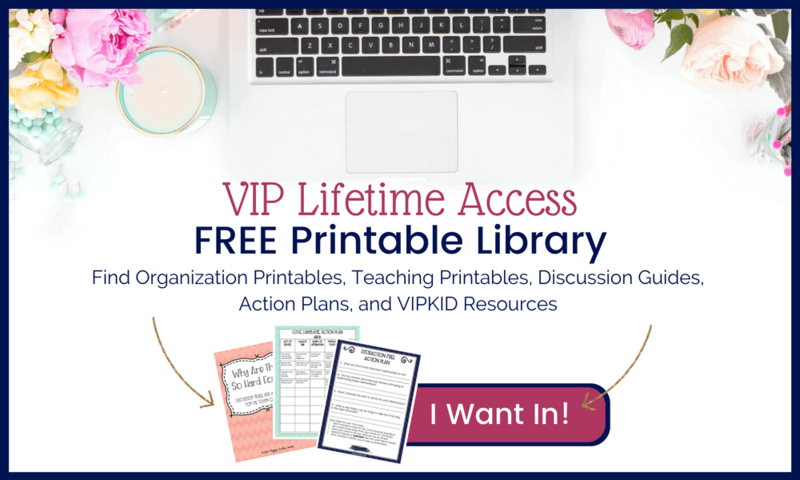 Hopefully, these four tips will give you the courage to try something new in your homeschool, too. How many days would we like to take off for Thanksgiving and Christmas? Will we take a fall break or spring break? Are we taking a vacation or any type of trip during the year? Will we need to mark off any other days (birthdays, holidays, dr. appt., etc.)? 2. Decide which model will work best for your family. 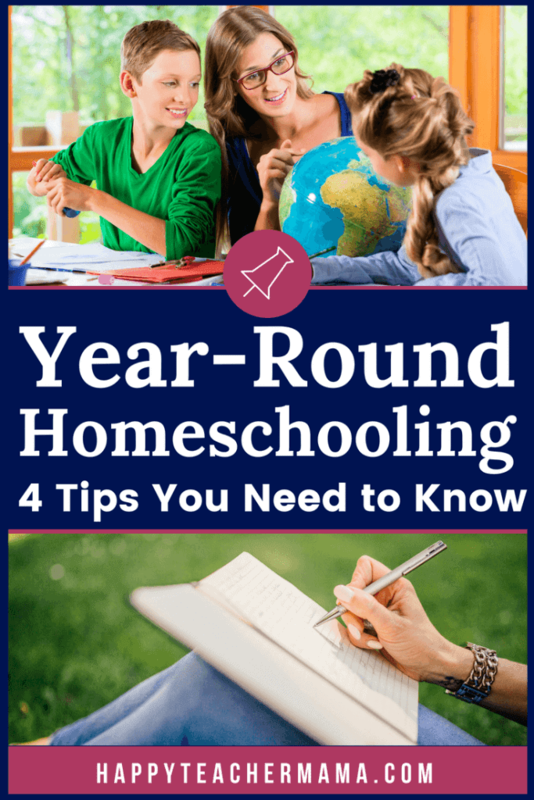 As with anything, there are all kinds of variations of year-round homeschooling. When I first started looking, I was astounded at all of the different approaches people take to this concept. I thought it was pretty standard, but as with everything homeschooling, it’s very open to interpretation. We chose the 6 weeks on and 1 week off model because after blocking out our holidays and vacation, it seemed like the most natural schedule. And so far…I love it!! That week off is perfectly timed. It seems like when we get through the fourth week, we are starting to get a little impatient with each other. And by the end of the sixth week, we are ABSOLUTELY ready for a break. This is also a great time for me to regroup for the next six weeks by reflecting on what went well, and what we need to tweak. And even though I am a certified elementary teacher, I am homeschooling at grade levels above my certification. So, I find that planning six weeks at a time feels a little less overwhelming. 3. Don’t call it year-round homeschooling. Ok. This might be the most important tip of all especially if you have older children or kids who aren’t afraid to share their opinions. FYI…my boys almost spontaneously combusted! I know it isn’t funny, but as I think back to my enthusiastic presentation of this concept, I can’t help but laugh at my own lack of forethought. Their faces were a mix of total disbelief, defeat, sadness, terror, and anger. And even as I write these words, I can’t really say that I blame them. Thankfully, I was relatively quick to notice the impending heart attacks and went on to explain why we were entertaining the idea. I clarified that we were simply starting earlier because we were going to be taking a two-week vacation and tons of breaks throughout the year. While my younger son was fairly content with the explanation, my oldest son was still not buying it. The damage had been done, and he was focused on year-round. He was convinced I was luring them into more school. So, after several more discussions and a thorough explanation of the concept of year-round homeschooling, I just called it school. And here we are. See, no one had a problem thinking we were just starting school a couple of weeks earlier than usual to accommodate a longer vacation this fall. But, as soon as I started throwing words out like “year-round,” tensions flared. So, basically, I say all of that say this. Yes, we are year-round homeschooling. But I will never call it that in the presence of my children. If you choose this route, call it a “different schedule” or a “new calendar year.” Just don’t call it year-round. 4. Make a Plan, But Be flexible! My last tip is pretty simple, but just be flexible. You know I like having a plan and I really like sticking with the plan. However, sometimes things happen that are out of our control. Should you have a plan of some kind? Should you freak out when someone gets sick and you have to throw out the plan? Friend, life is crazy sometimes and this whole homeschooling thing can get hard. Maybe someone gets sick, maybe you get sick, maybe an amazing impromptu opportunity presents itself and you don’t want to pass it up. « Classroom Word Wall: Do You Really Need One?